"Trouble. Weapon up and meet me at the orb. Fast as you can!" Defending a priceless artifact is necessary for multiple reasons. For some, the protection is required for wealth. For others, it's required for world-preservation. For others though, it's required for the safety and stability of the world it powers. 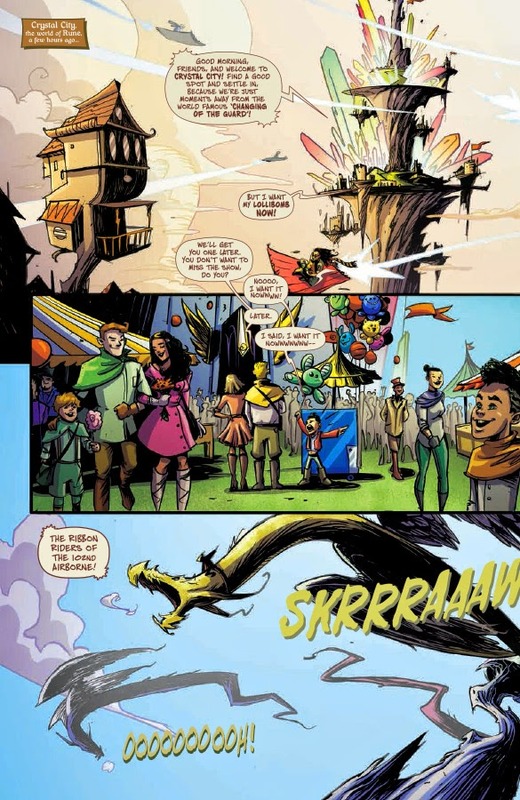 Image Comics prefers maintaining a world in Rise of the Magi #1. The issue is written by Sumeyye Kesgin and Marc Silvestri, illustrated and lettered by Betsy Gonia and colored by Troy Peteri. 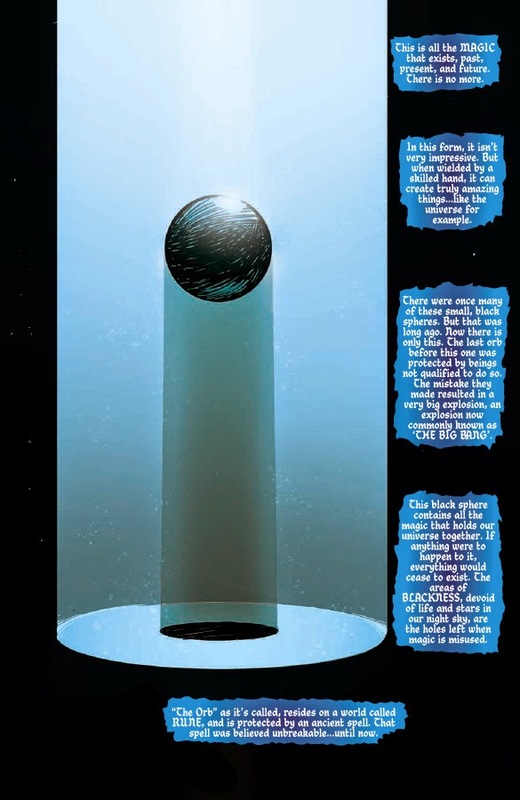 A small black sphere contains all the magic that exists—past, present and future. Without it, two worlds would not survive. But someone has done the unimaginable: stolen a piece of the sphere and fled from the world of magic into the world of man. Now only the very common Asa Stonethrow can find him. Asa thought saving two worlds was great enough a burden…until he meets a girl. Worlds based on magic tend not to do that well for too long, mainly because that magic they live on is usually powerful enough to destroy said world. Kesgin and Silvestri really only use the magic to set tone for the remainder of the series, as Asa is put on the run from untold evil. Asa is pretty convincing as flying carpet repairman turned hero, fitting into the traditional zero to hero mold that many stories rely upon. The dialogue is pretty straightforward, but the story is a little jumpy in terms of past, present and future. The pacing is a little uneven because of the time shift, which isn't too jarring, but a few parts do require some rereads (there's a break in the middle that helps keep things moving and does a great job in keeping the story on track). 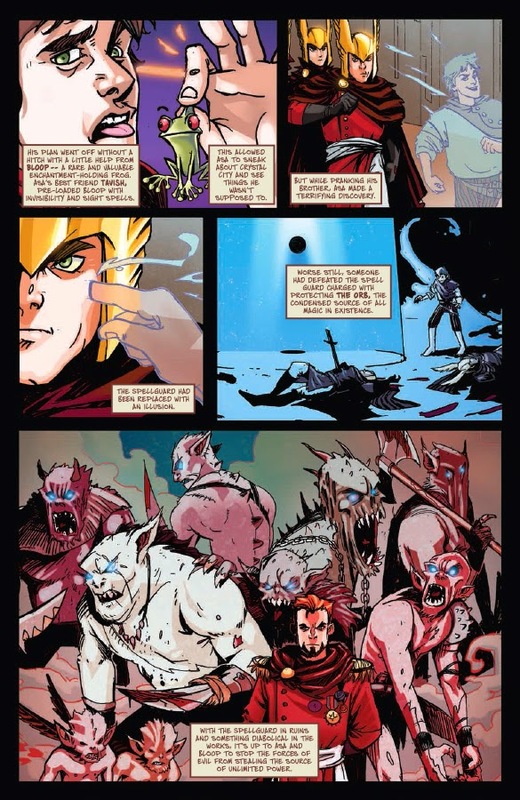 Considering the level of magic in Rise of the Magi #1, Gonia keeps the characters looking unique and infused with the same magic the world they live in is comprised of. There's a good bit of variety on display, even if some of them look a little fuzzy at times. Gonia definitely focuses more on the action in the book rather than the characters themselves. There's also something of a blurriness in her style that gives the book a handcam feel, which would feels strangely appropriate considering the subject matter in the book. More attention is devoted to the action and characters, leaving the backgrounds a little sparse in their depiction. 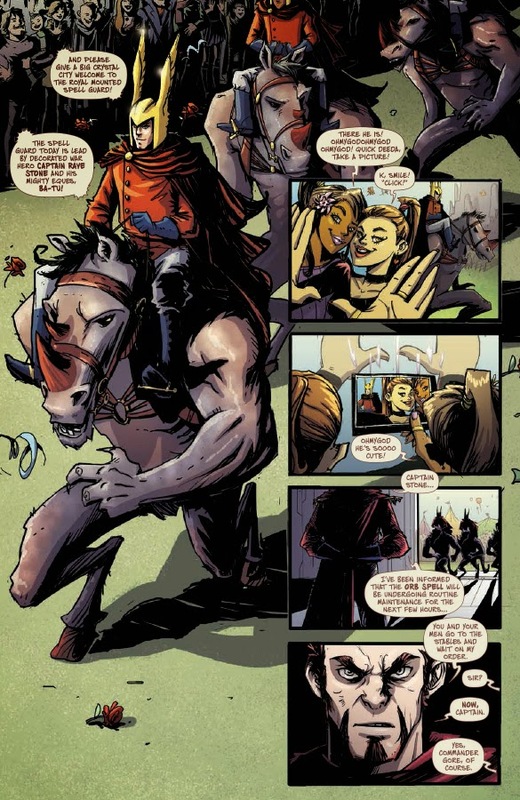 Rise of the Magi #1 is a pretty lighthearted book that's immersed in some pretty intense magic fighting. Asa is definitely out of his element by the end of the story and thrust into a situation that offers a pretty interesting twist on the story as a whole. 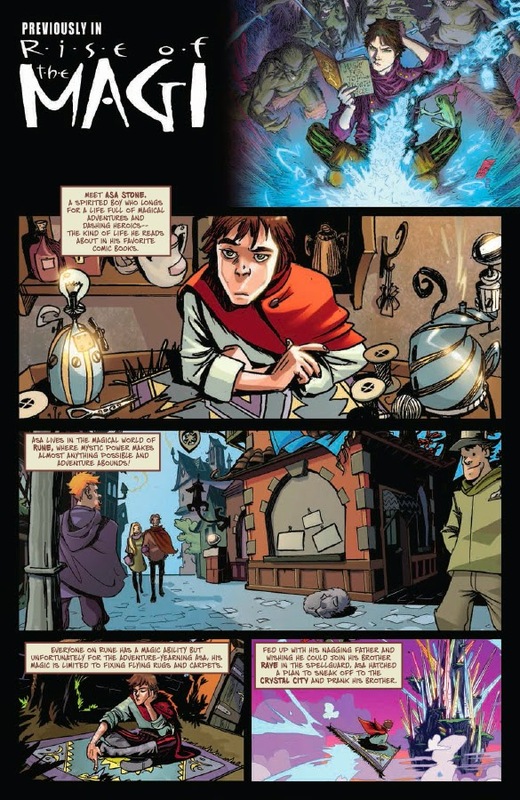 Kesgin and Silvestri's dialogue effectively convey the action and introduce the reader into the world of magic and orbs. Gonia's illustrations are a good fit for the story as well, presenting a world that imaginatively brings to life the story. Rise of the Magi #1 reads interestingly enough and offers a surprising ending that is setting up the remainder of the series to be pretty fascinating. 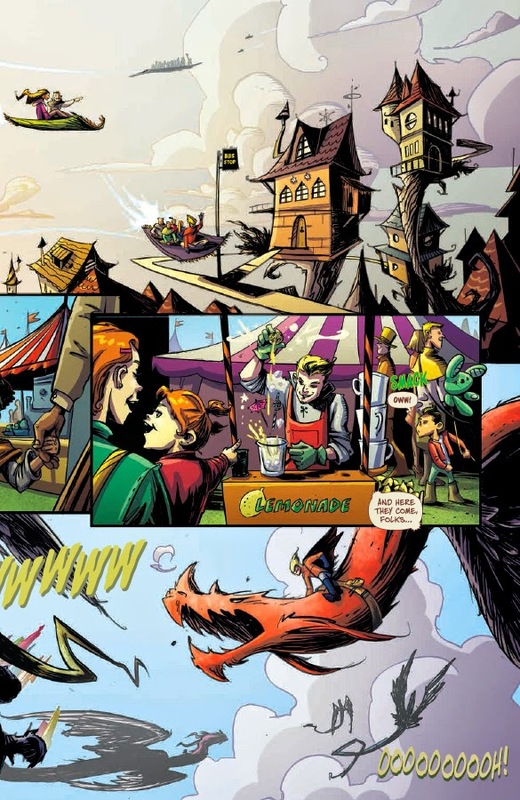 Rise of the Magi #1 is in stores June 4 with interiors below.